Summary: Reliable, honest, and drama-free tenants are a landlord’s dream. However, it doesn’t always end up this way. Owning real estate may sound quite easy and can also be an amazing source of passive income. But, you need tenants that are willing to subject themselves to your terms and conditions first. While you may think that saying no to an applicant may be the hardest part, it’s actually quite the opposite. Most of the difficulties come from having to justify the reasons why you’re saying no. When you’re selecting a tenant to move in, numerous housing laws come into play. And, if you don’t play by the rules, you could end up dealing with a substantial migraine to say the least. There are several key elements that a landlord must oblige to when screening tenants. This guide is designed to help you get started. Before you start accepting applications, be sure that you have a set of criteria that every applicant must meet. This might include verifiable income, a credit score of 700 or above, never have been evicted, etc. Determine your criteria based on the bounds of the local and state laws. Your formal application must include important factors such as: personal information, SSN, total amount of individuals staying, current landlord, current and previous employers, family, vehicle, landlord credit check, etc. All of these are necessities, and there are numerous templates online that you can copy and past if you’d prefer. Just make sure they include all of the necessary details that a proper application must have. Before you charge any fee that you desire, be sure to know what your local laws are regarding the application fee. 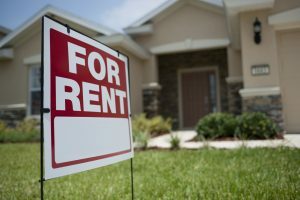 Most will allow you to keep the fee if the tenant is turned down, but some states vary. The application and the fee to submit an application is something that a tenant needs to be serious about if he or she wants live on your property. This fee will essentially cover your tenant screening services and costs of each serious applicant. Furthermore, it will help weed out the committed individuals from the pack. Always be sure that you address very single aspect when it comes to accepting tenants. By taking the time to care for all of these aspects, you’ll build up a tenant base that’ll make your job easier. For instance, they’ll pay their bills on time, live peacefully amongst one another, and essentially be a pleasure to be around. While you may not have the luxury of picking and choosing all the time, be sure that you remain cautious with the screening process and make judgmental decisions. Bio: Tenant Screening Services, LLC is your home for the most reliable instant background checks available on the market. With detailed reports including every detail that you could need as an employer or a landlord, Tenant Screening Services, LLC has you covered.